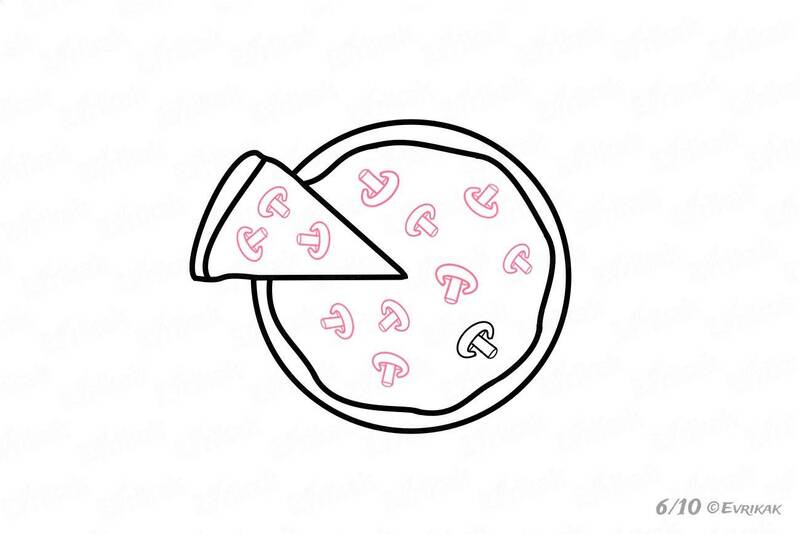 Pizza is a very a popular dish, it can be found in any cafe. And your child can refuse to eat a home-cooked meal, after eating pizza. 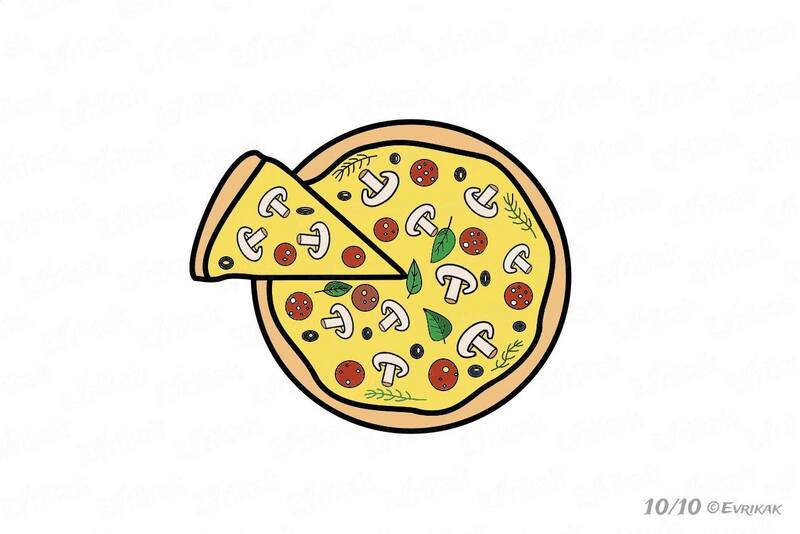 Pizza looks interesting because of its shape, way of cooking and various fillings. Sometimes you and your child can go to a cafe to eat pizza. But you can also draw this dish at home in order your child not to be capricious and you can tell your child about the pizza’s ingredients while drawing it. And to give your child a home-made pizza will be even better. And you can even show your daughter how to cook this Italian dish. Pizza’s basis is a flat circle. 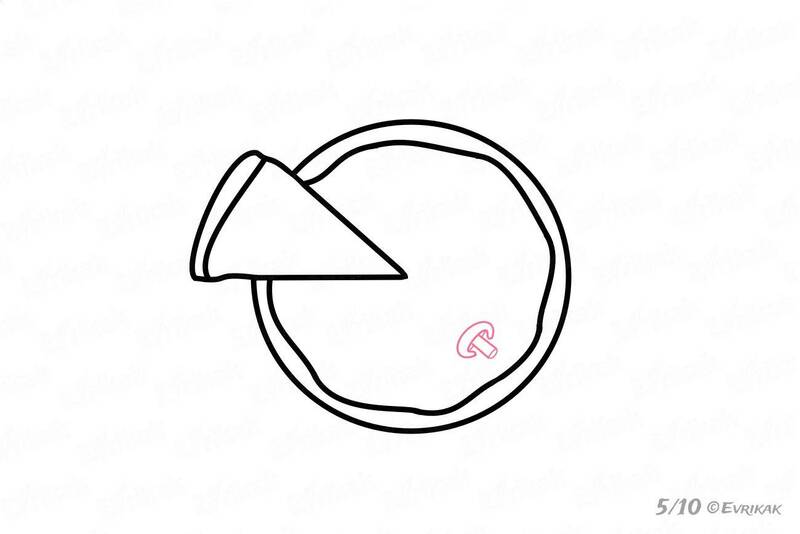 It can be drawn by using a compass. If you don’t have it, use a round object of an appropriate size. 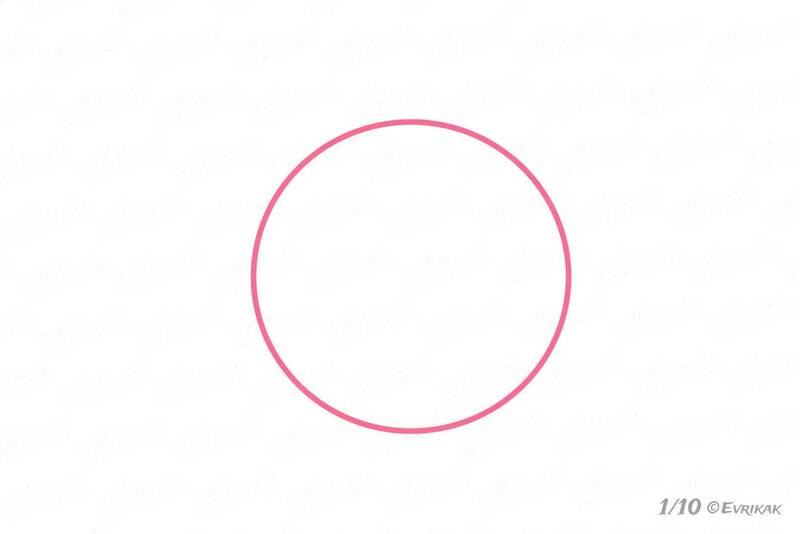 Now draw the cut piece, drawing two lines inside the circle. 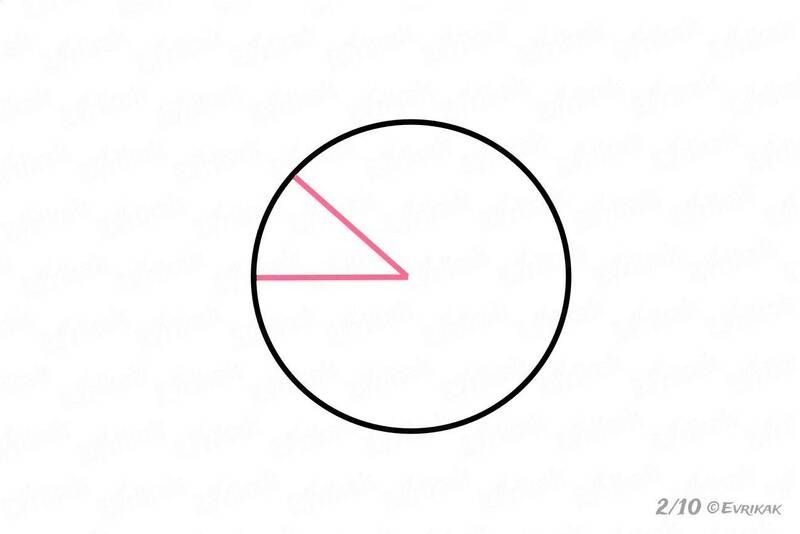 The figure should resemble a triangle. Draw the edges with the help of uneven lines to show that one piece is drawn out from the circle. The dough should be covered with a thin layer of sauce before baking it. Draw it in the form of an uneven circle inside the additional figure. You should put the filling on the sauce which can be different. There will be mushrooms in our dish. 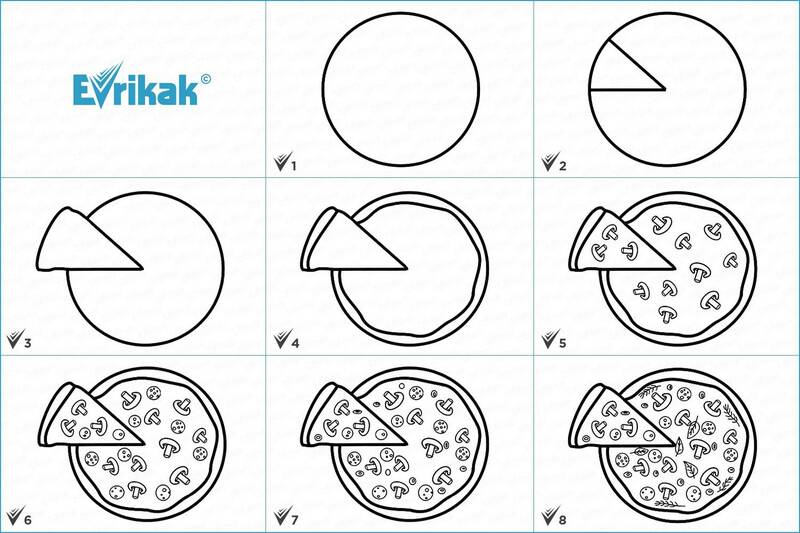 Draw them on the pizza’s surface and on the cut piece. Add the sausage’s slices between the mushrooms. The obligatory component of the filling in Italy is the black olives. Draw them in a form of small circles. Cooks use the seasonings to give the flavor to a dish and make it juicy. 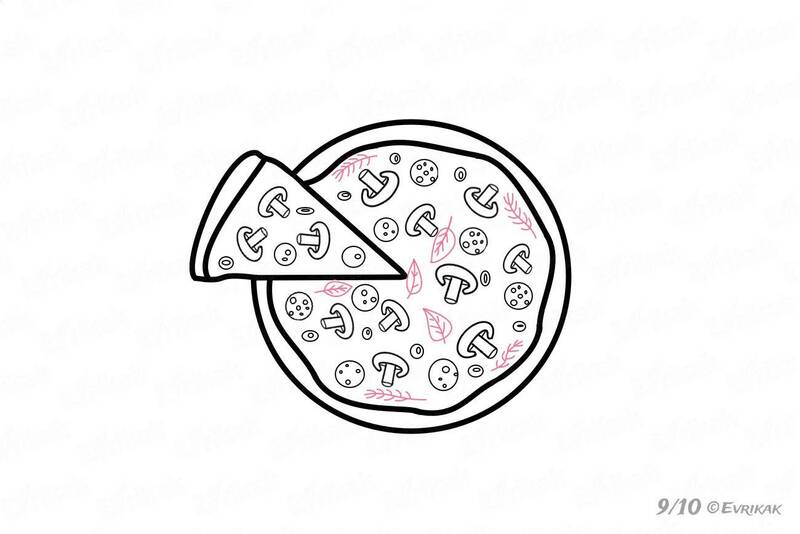 Decorate your pizza, drawing some twigs and leaves. Color the dough in a light brown color. The sauce is yellow, the mushrooms are white. The sausage’s slices are dark red, the olives are black, the twigs and leaves are green. You can invent your own filling, using this instruction. 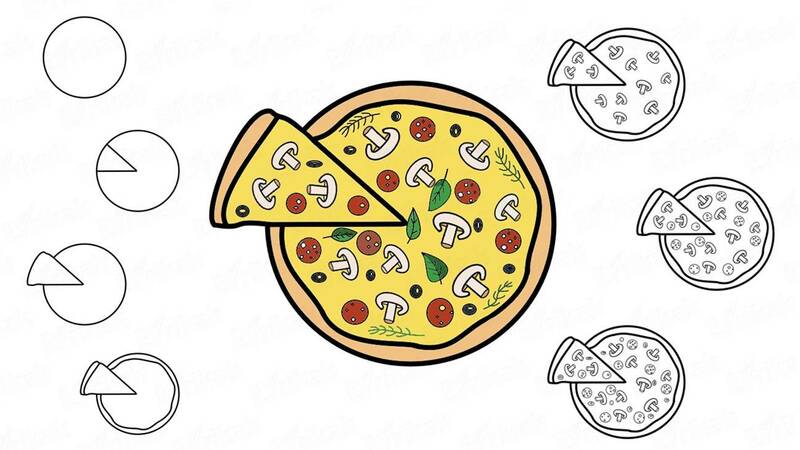 If your child is tired of drawing, offer him or her to color a dish online. The process will not take much of your time but it will certainly be interesting for your child.